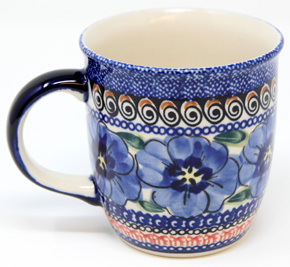 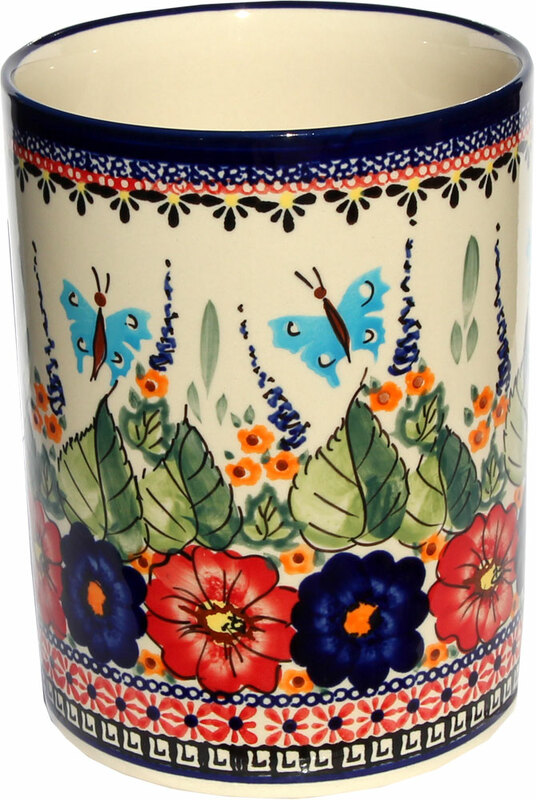 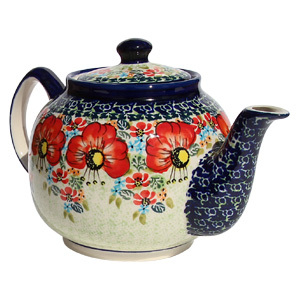 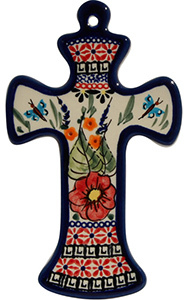 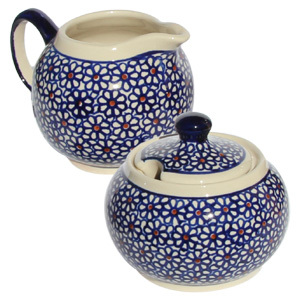 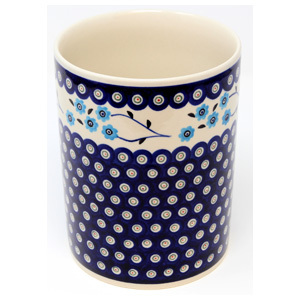 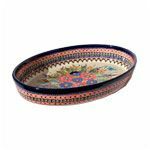 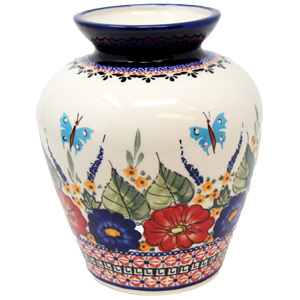 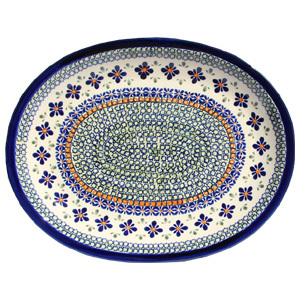 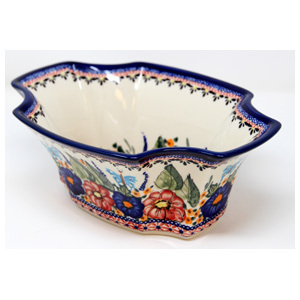 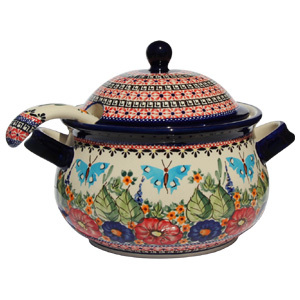 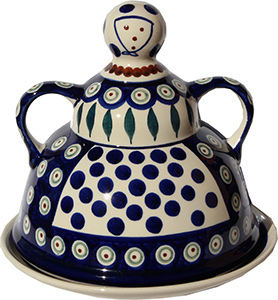 The Polish Pottery utensil holder in Unikat fauna with swallowtails is a multi-primary colored piece made in Zaklady Ceramiczne BOLESLAWIEC. 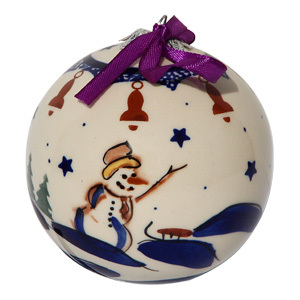 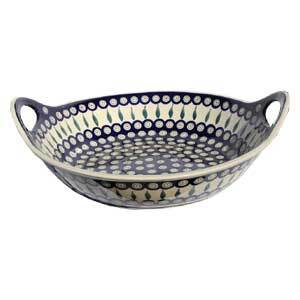 With a diameter of six inches and a height of seven inches a ceramic molded for utilitarian purposes. 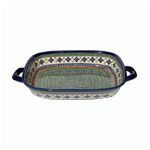 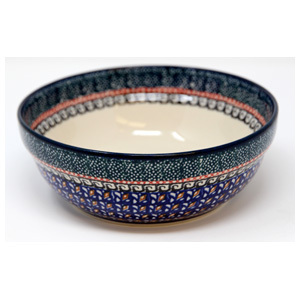 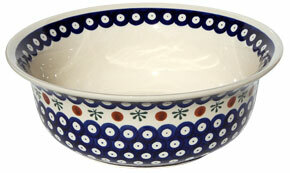 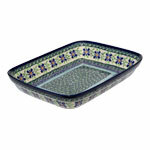 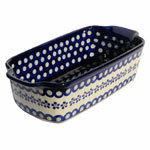 Product is microwave and dishwasher safe so the bold pattern will last. 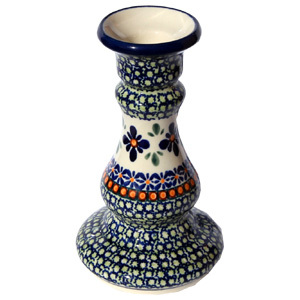 I couldn't be happier with this utensil holder. 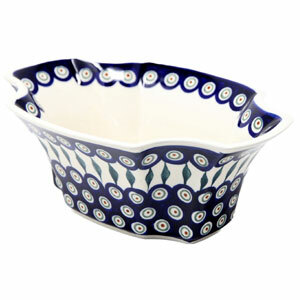 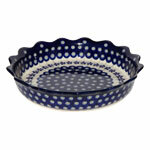 It is large enough to hold most of my favorite utensils, and still look lovely on the counter. 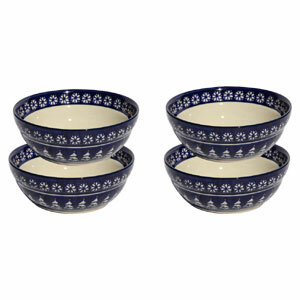 Thanks for your great service and wonderful packaging.